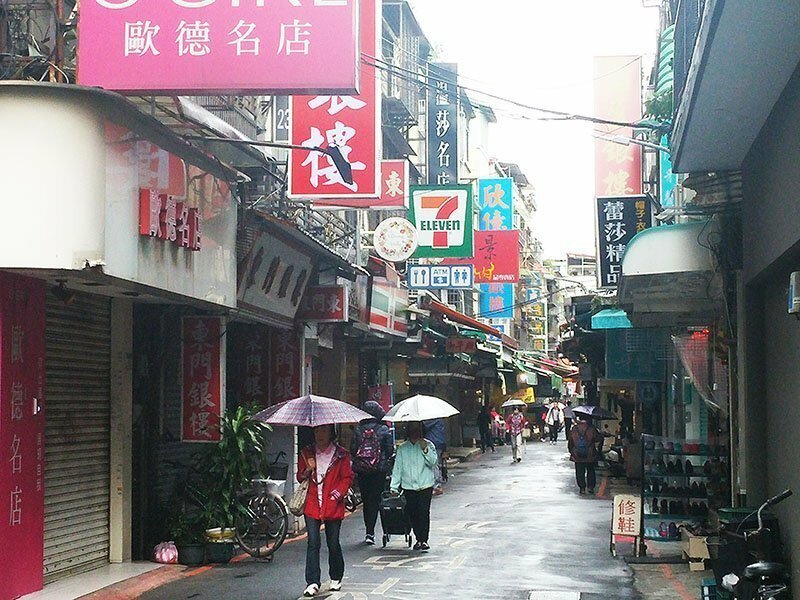 In my last post, I covered where to go in central Taipei. 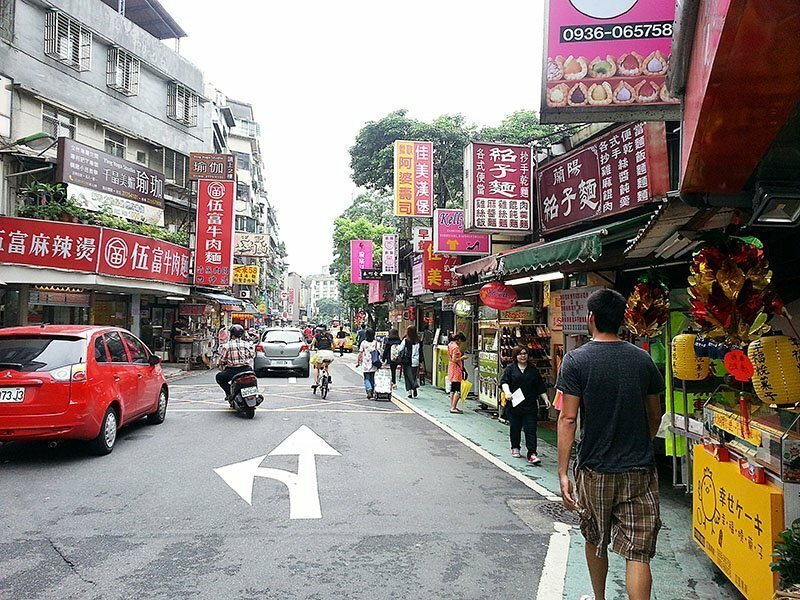 Now it’s time to concentrate on good eats in central Taipei. 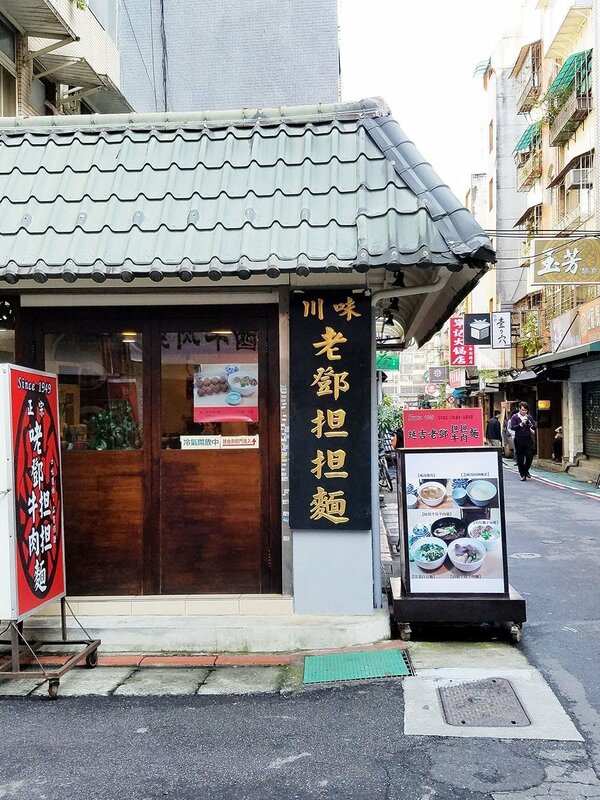 I’ve noticed that if you’ve never been to Taiwan before and are not traveling with someone who knows their way around, it can be difficult to find the best places to eat. I knew someone who lived there for a year and told me she never had anything that blew her mind. She didn’t know where to go since there was no Yelp, no Zagat, and no easy source of information to obtain about the best eats. Luckily, I had someone with me who took me to the best of the best. 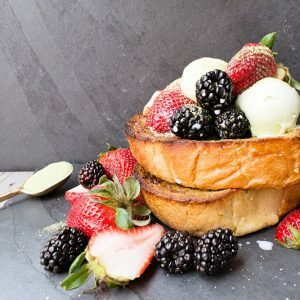 Here’s my little guide to anyone who may need some recommendations on good eats in Central Taipei. 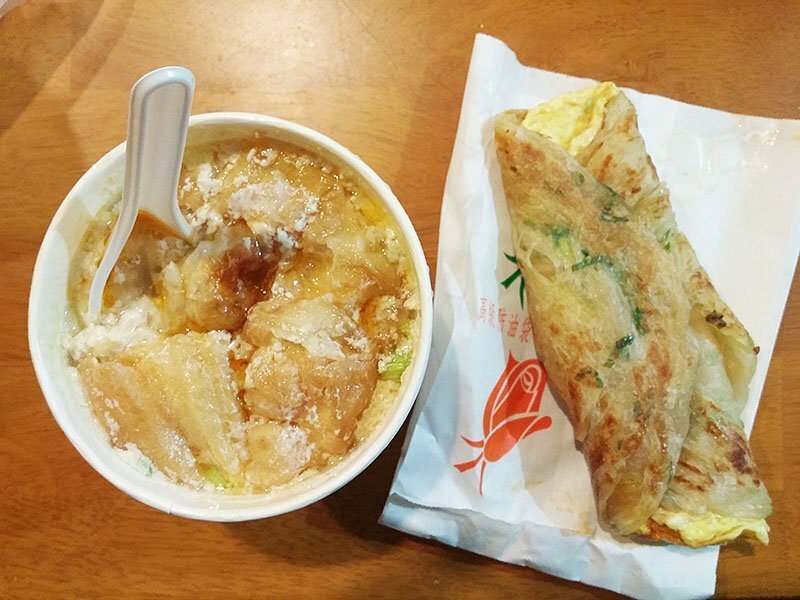 Everyone needs to start off the day with a satisfying breakfast and Taiwanese people sure do deliver. Breakfast stands can be found on almost every block no matter where you stay. I’ve tried at least 4 or 5 and the quality was consistent no matter where I ate. 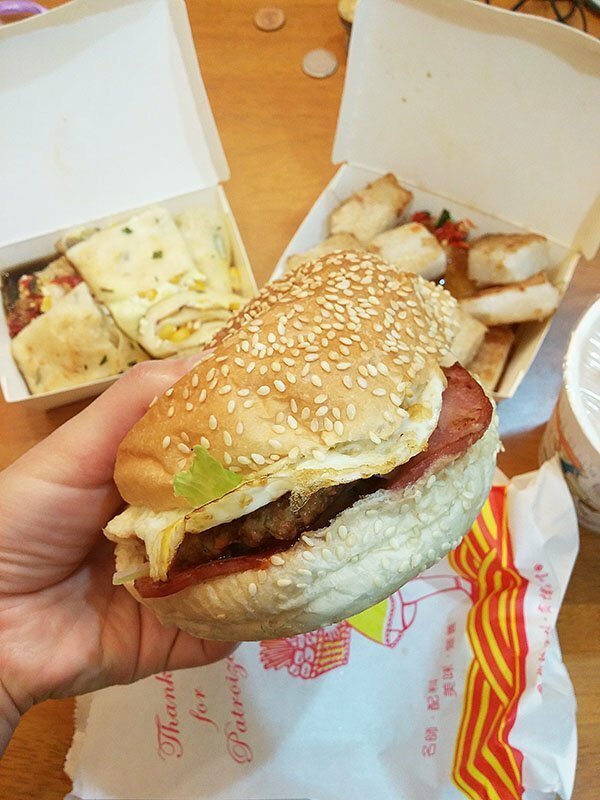 A typical breakfast can include various sandwiches, egg pancakes, radish cakes, or this amazing combo burger with sausage, ham, egg, tomato, and lettuce on a soft bun. Oh and did I mention, food in Taiwan is cheap! Two burgers, two milk teas, an order of radish cakes and egg pancakes came out to $6 total…TOTAL. Another favorite was the scallion wrapped pancakes filled with egg and savory soy milk. 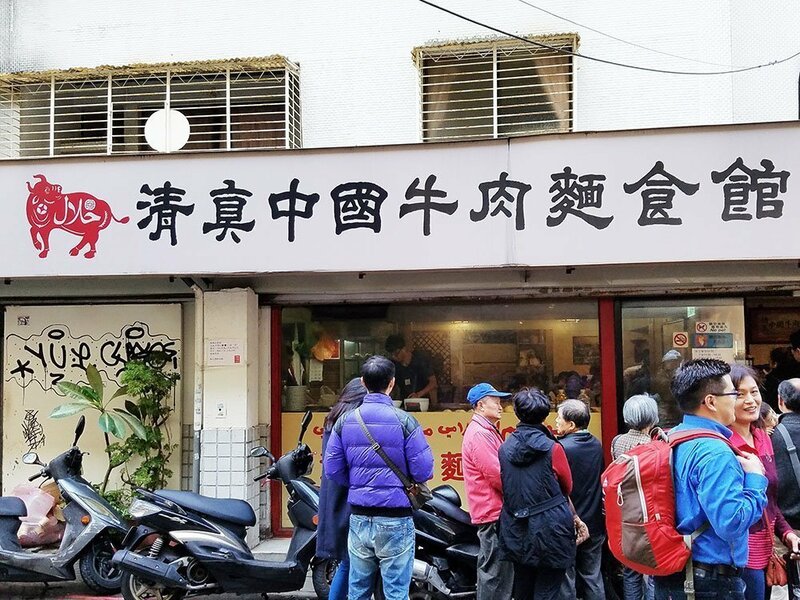 This restaurant was located right next to the entrance of Tonghua market; you can’t miss it, there’s usually a line of people waiting to get their pancakes while a lady in the front bakes fresh rolls and bread. 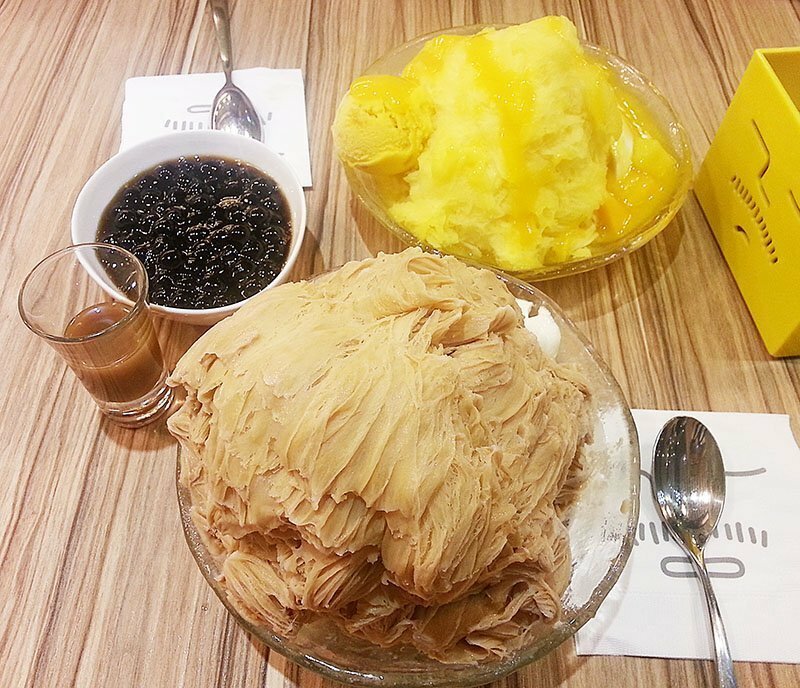 The soy milk is made fresh in house and a cold and hot version is available. The hot has crueller mixed right in and is served piping hot. The pancakes are brushed with a soy sauce type sauce and chili sauce to add a little extra flavor. Two orders of the pancakes with one hot soy milk and one cold came out to a total of $3. I can go on and on about Taipei’s breakfast stations, but I’ll end it with this one last restaurant. Yong He Do Jian prepares everything to order and I mean that literally. Wait in line, place your order and watch the workers prepare your breakfast. Come to think of it, every breakfast eatery makes your meal fresh to order – not like the ones in the States! There are two lines, one for take-out and one for dining in. 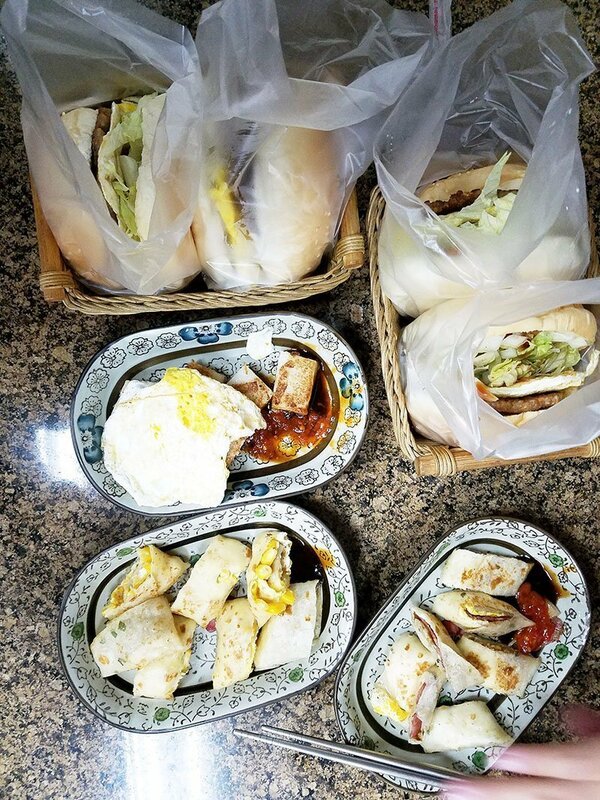 Yong He Do Jian has everything from breakfast sandwiches with egg and crueller (shao bing), sweet or savory soy milk, rice rolls (fan tuan) and steamed dumplings. After looking around, I saw that majority of guests were chomping down on the breakfast flatbread with crueller and egg. However, I personally enjoyed the rice rolls stuffed with pork sung and wrapped in egg. I highly recommend the savory soy milk. It was my first time seeing raw milk mixed in with the soy milk along with pork sung, soy sauce, crueller and seasonings. It was, by far, the best savory soy milk I have ever had. Now on to lunch and dinner good eats. 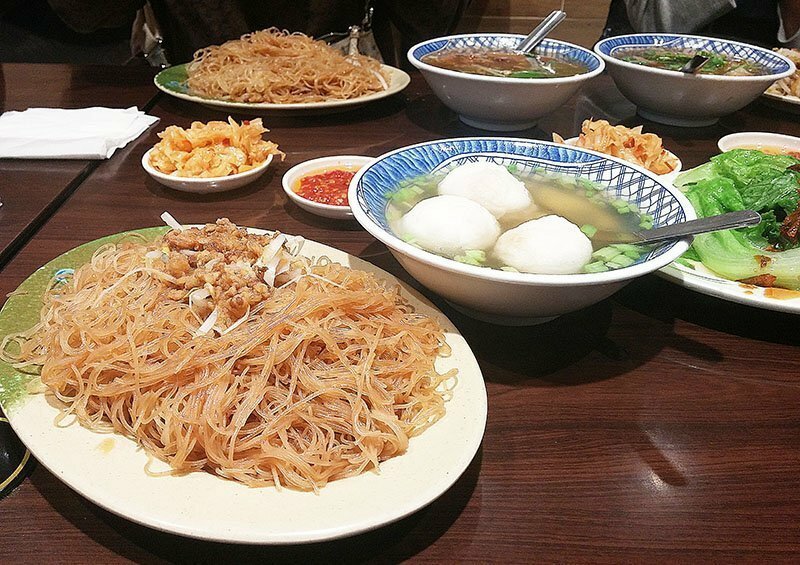 Taiwanese food largely consists of carbs: noodles, dumplings, and rice. I must have had at least one bowl of noodles every day. 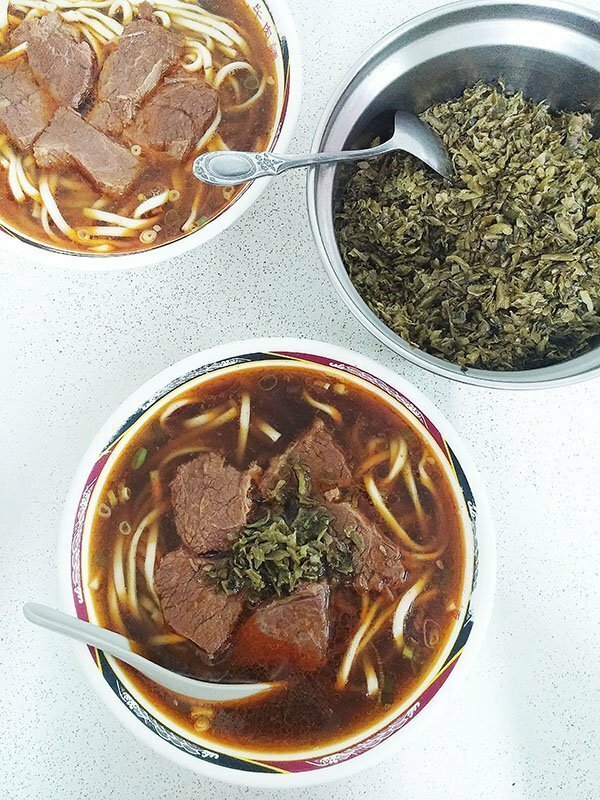 Let’s start with one of Taiwan’s most famous dish, beef stew noodles. 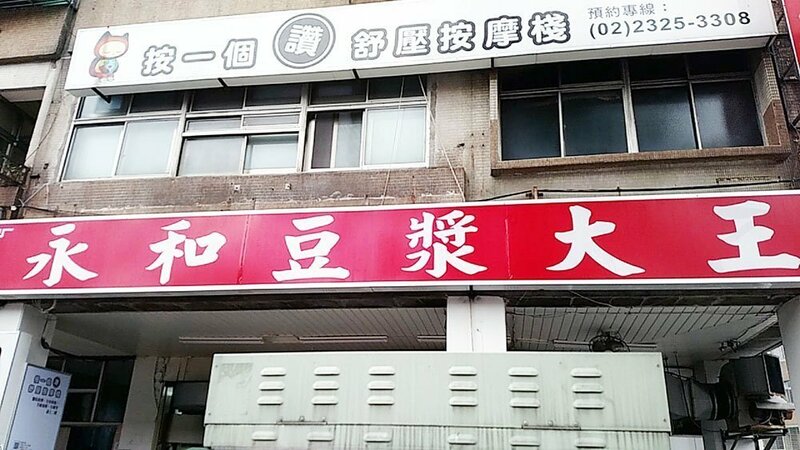 Located 5 minutes away from the Zhong Xiao station, walk down the street above to the restaurant named Wang’s. If you see a small park to the right, you’ve come to the right place! You will see someone in the front with a huge pot of the stew, ladling bowls for the customers. 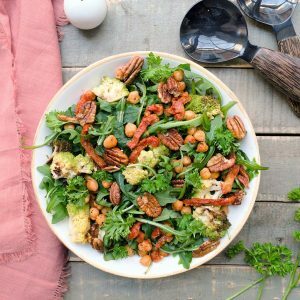 Top yours with pickled greens and dig right in. Everyone knows about beef stew noodles, but has everyone heard of clear broth beef stew noodles? This was my all-time favorite meal out of the 20 outstanding ones I’ve had in the city. The broth itself is so flavorful and rich from simmering for many hours. 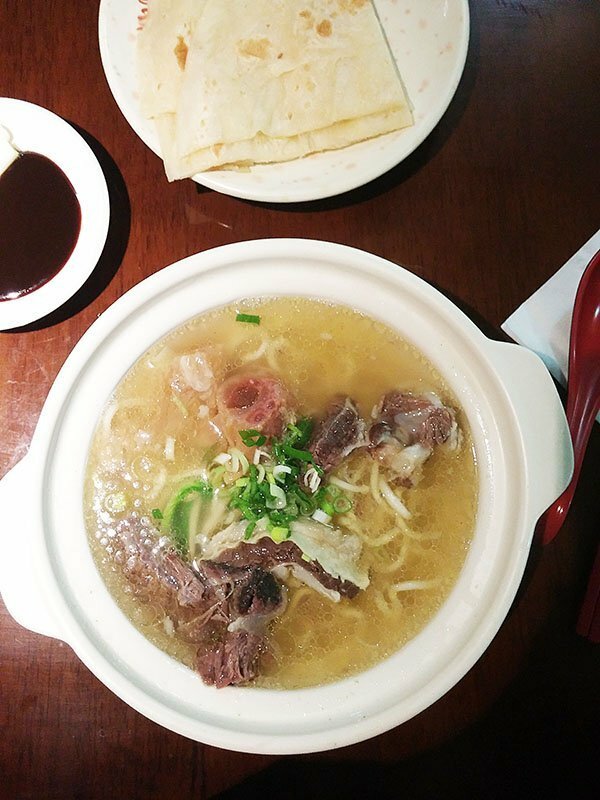 Zhong Guo Beef Noodles specializes in two things: beef stew noodles and pancakes. Walk by the restaurant and you’ll see someone in the front rolling out pancake after pancake. Be prepared because there can be a line outside. 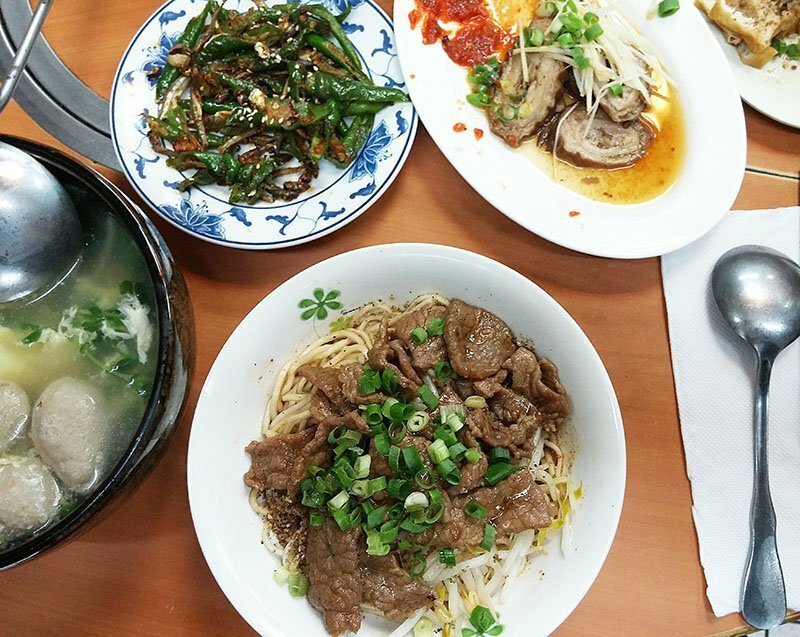 Right across the street from Zhong Guo Beef Noodles is a restaurant that has the best dan dan noodles. Old Deng’s has people from all over the world come and enjoy their noodles, as proven by the signatures all over the walls. I have tried many times to find dan dan noodles like these back at home and still have yet to find something that comes even remotely close. 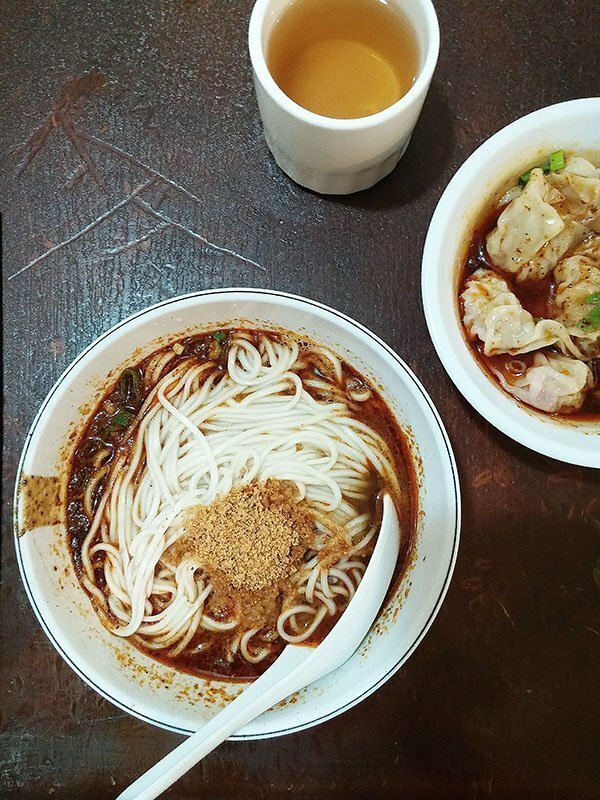 These noodles are pretty spicy and like most restaurants, only hot tea is available, so take a cold bottle of water just in case! 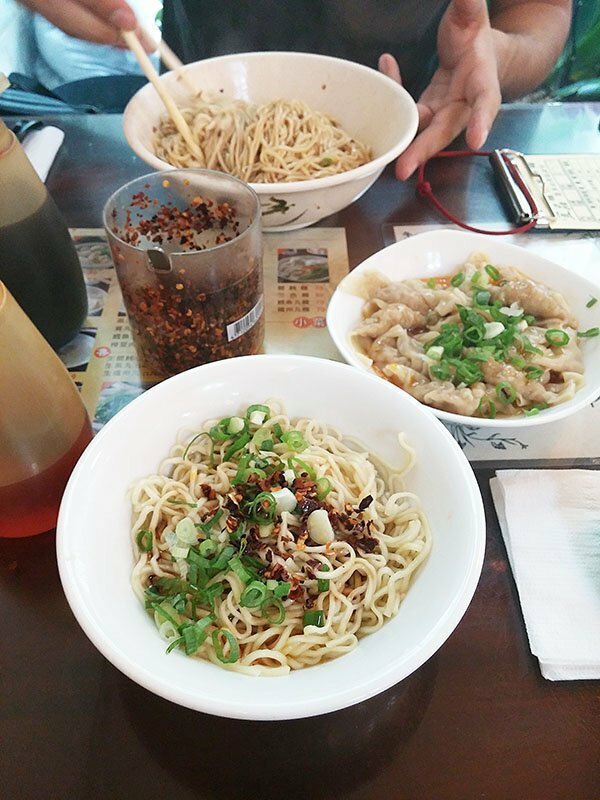 If you’re ready to try a different type of noodle, walk on over to Yepin near the famous 216th street of Zhongxiao east road. Dry noodles that are so simple but still so delicious. 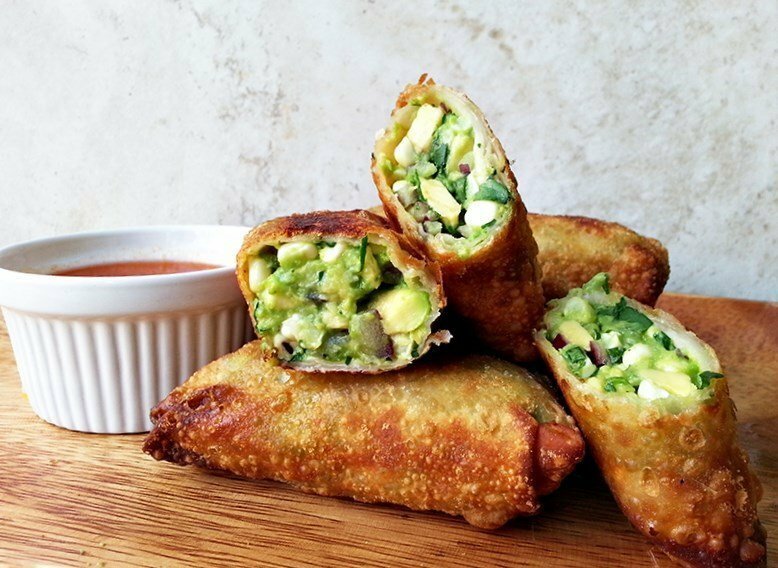 Add chili flakes, chili oil, and vinegar to complete the dish and dig right in! The small bowl is less than $2 and the large only $3. For dinner, check out the restaurant right across and enjoy some of their scallion pancakes, amazing hot pot, and chive pockets. 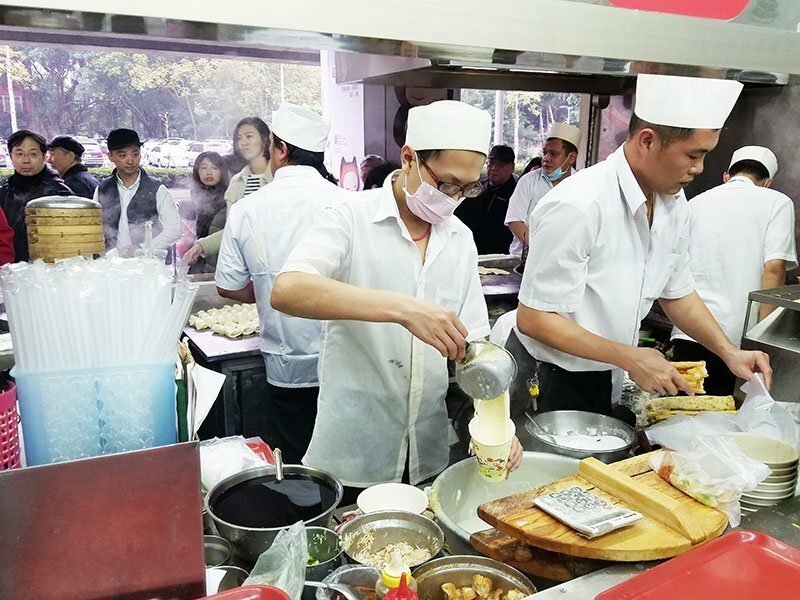 Across the street from the National Taipei University Sports Arena is a small, small eatery with delicious satay beef noodles. With only 3 tables, this restaurant can get very busy, especially during lunch hour. 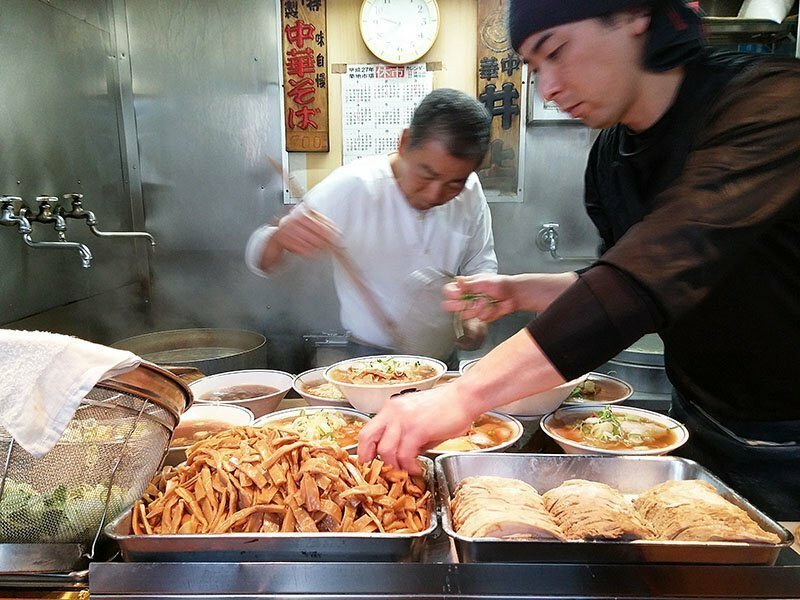 Enjoy some live entertainment while chowing down on your noodles as the family who runs the kitchen bickers nonstop. Like the dry noodles, these are also finished with their signature lemon chili vinegar. Order a side of beef ball soup, chitterlings, sauteed anchovies, and other dishes for one complete meal. 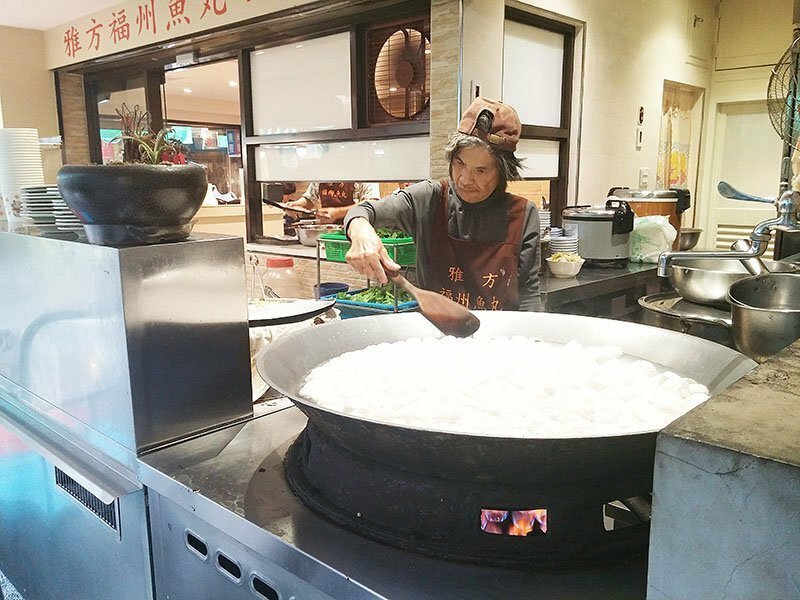 On one of the mornings when I decided to take a little break from the breakfast burgers and wraps, we headed on over to check out the Dongmen market. Unbeknownst to us, they are closed on Mondays so we walked down the street to get some fish ball soup. Located off the Dongmen station exit, walk down this street and turn right. 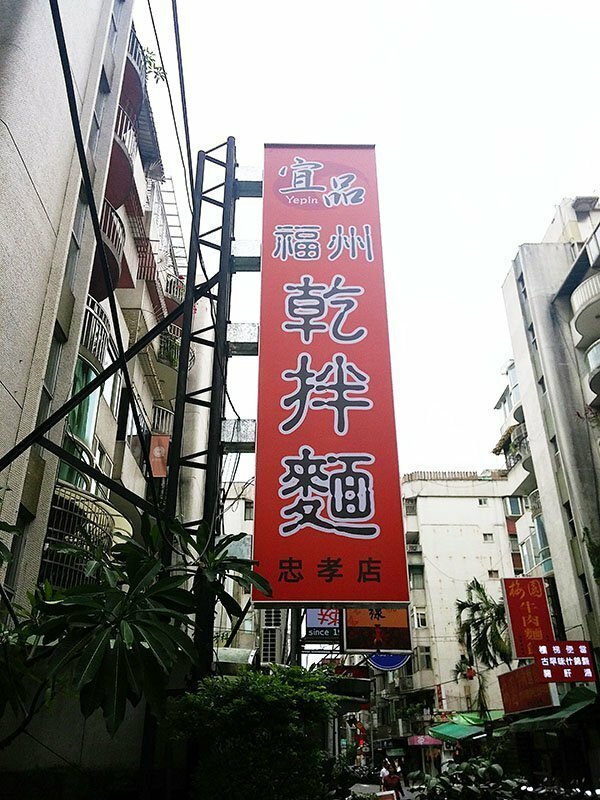 To the left, you will find Yia Fung Fish Ball Soup restaurant. A large pot of fish balls is in front of the place in case there was any confusion. The fish ball soup was by far, the best I ever had. 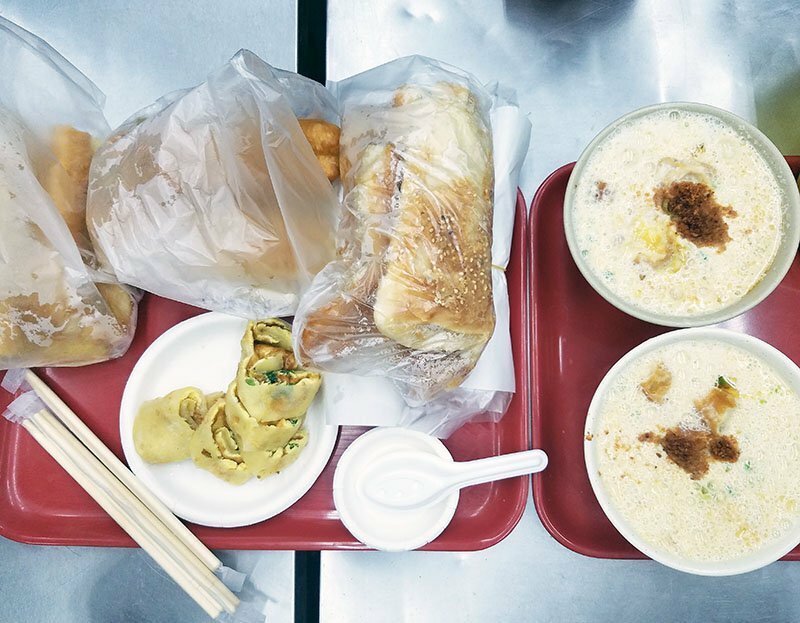 The fish balls are tender, juicy, and filled with a savory filling. The broth is light and compliments the fish balls perfectly. A side of pan-fried noodles and sauteed vegetables can be enjoyed with the soup. Noodles, soup and two sides for 4 people came out to only about $20! I love Taiwan. For dessert good eats, there are hundreds of tea shops, cafes, and bakeries. So far I have noticed that Japan loves its soft serve ice creams and Taiwan loves its tea shops and boba drinks. I suppose it does make sense since Taiwan does offer some of the best tea in the world. 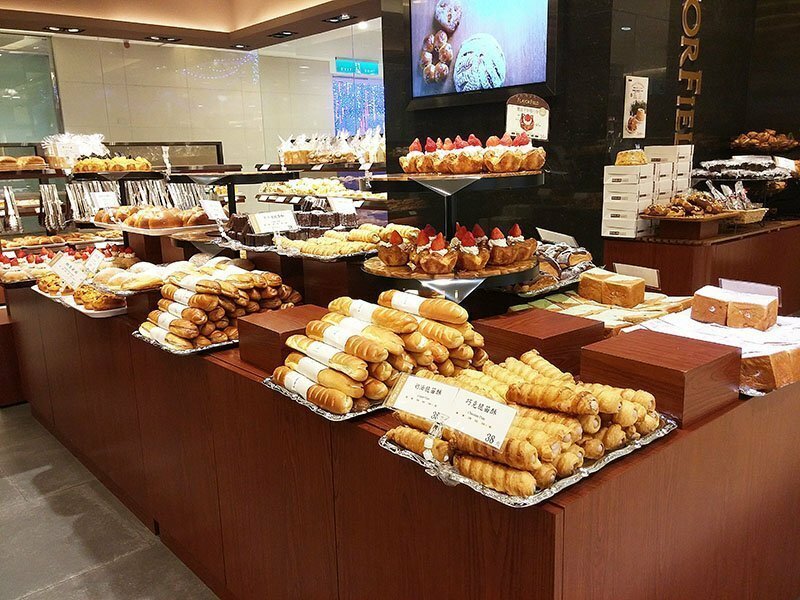 There are French-inspired bakeries but I personally prefer the more authentic ones with cakes, old fashioned custard filled buns and savory bread. Next up, the borders of Taiwan.